Lights, sparkling window displays and Christmas decorations transform Madrid, as Madrileños get ready for their favourite holiday. Madrid transforms itself into a light spectacle as the streets are filled with colourful, eco-friendly lights from the end of November right up to the beginning of January. The Christmas lights have been crafted by renowned Spanish graphic artists, architects and designers and all the popular areas of the city shine with the results of their efforts. In 2017, Calle Alcalá resembled a star-filled sky, while Calle Serrano, Madrid’s fashion street, was also dressed up in style. The city sees tall Christmas trees in the main squares, including Plaza San Juan de la Cruz, Puerta del Sol, Plaza España, Calle Fuencarral, Plaza de Colón and Plaza de Callao. The city also hosts numerous festive activities for the whole family. 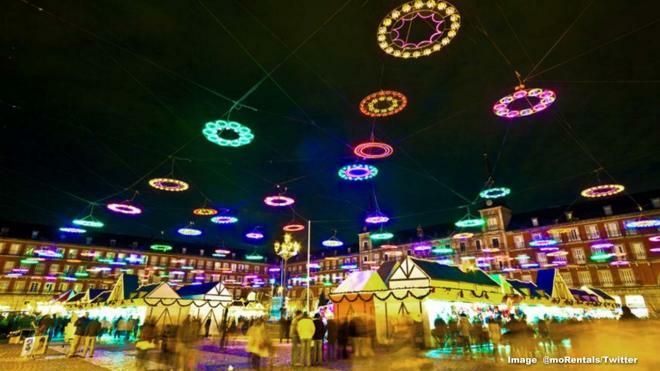 As noted by TT Madrid, the main market is held in Plaza Mayor, where every kind of Christmas decoration and nativity scene figures can be found. However the city also hosts a number of smaller markets offering handcrafted items, idea for a last-minute gift for a loved one. The Gran Via, Puerta del Sol and Callao area has everything in the way of presents for friends and family. The kids will also come across Santa Claus and the Three Wise Men in the area, ready to collect their letters. 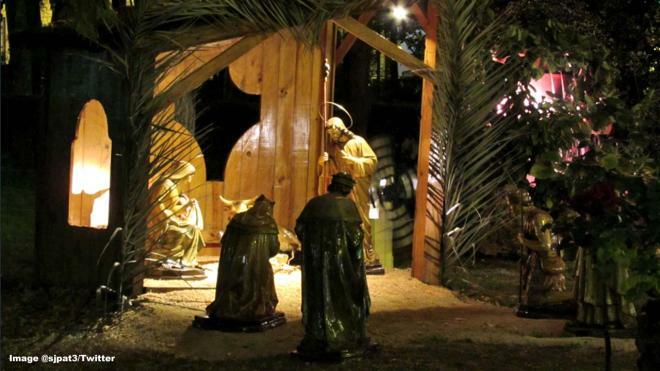 Churches and cultural centres throughout the city host elaborate, life-size nativity scenes including figures of Mary, Joseph and Jesus, along with the angels, shepherds and the Three Wise Men who followed the star to Bethlehem.